For the number sequence, see Fibonacci number. For the Prison Break character, see Otto Fibonacci. Fibonacci (c. 1170 – c. 1250) was an Italian mathematician from the Republic of Pisa, considered to be "the most talented Western mathematician of the Middle Ages". The name he is commonly called, "Fibonacci" (Italian: [fiboˈnattʃi]), was made up in 1838 by the Franco-Italian historian Guillaume Libri and is short for filius Bonacci ("son of Bonacci"). [b] He is also known as Leonardo Bonacci, Leonardo of Pisa, or Leonardo Bigollo ("traveller") Pisano. Fibonacci popularized the Hindu–Arabic numeral system in the Western World primarily through his composition in 1202 of Liber Abaci (Book of Calculation). He also introduced Europe to the sequence of Fibonacci numbers, which he used as an example in Liber Abaci. Fibonacci was born around 1170 to Guglielmo, an Italian merchant and customs official. Guglielmo directed a trading post in Bugia, Algeria. Fibonacci travelled with him as a young boy, and it was in Bugia that he learned about the Hindu–Arabic numeral system. Fibonacci travelled around the Mediterranean coast, meeting with many merchants and learning about their systems of doing arithmetic. He soon realised the many advantages of the Hindu-Arabic system which, unlike the Roman numerals used at the time, allowed easy calculation using a place-value system. In 1202, he completed the Liber Abaci (Book of Abacus or The Book of Calculation) which popularized Hindu–Arabic numerals in Europe. Fibonacci became a guest of Emperor Frederick II, who enjoyed mathematics and science. In 1240, the Republic of Pisa honored Fibonacci (referred to as Leonardo Bigollo) by granting him a salary in a decree that recognized him for the services that he had given to the city as an advisor on matters of accounting and instruction to citizens. 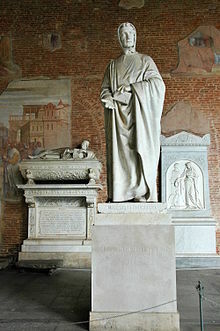 The date of Fibonacci's death is not known, but it has been estimated to be between 1240 and 1250, most likely in Pisa. A page of Fibonacci's Liber Abaci from the Biblioteca Nazionale di Firenze showing (in box on right) the Fibonacci sequence with the position in the sequence labeled with Latin numbers and Roman numerals and the value in Hindu-Arabic numerals. 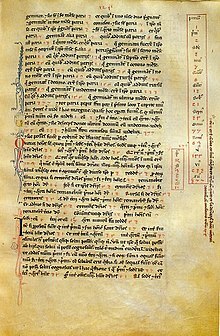 In the Liber Abaci (1202), Fibonacci introduced the so-called modus Indorum (method of the Indians), today known as the Hindu–Arabic numeral system. The book advocated numeration with the digits 0–9 and place value. The book showed the practical use and value of the new Hindu-Arabic numeral system by applying the numerals to commercial bookkeeping, converting weights and measures, calculation of interest, money-changing, and other applications. The book was well-received throughout educated Europe and had a profound impact on European thought. No copies of the 1202 edition are known to exist. The 1228 edition, first section introduces the Hindu-Arabic numeral system and compares the system with other systems, such as Roman numerals, and methods to convert the other numeral systems into Hindu-Arabic numerals. Replacing the Roman numeral system, its ancient Egyptian multiplication method, and using an abacus for calculations, with a Hindu-Arabic numeral system was an advance in making business calculations easier and faster, which led to the growth of banking and accounting in Europe. The second section explains the uses of Hindu-Arabic numerals in business, for example converting different currencies, and calculating profit and interest, which were important to the growing banking industry. The book also discusses irrational numbers and prime numbers. Liber Abaci posed and solved a problem involving the growth of a population of rabbits based on idealized assumptions. The solution, generation by generation, was a sequence of numbers later known as Fibonacci numbers. Although Fibonacci's Liber Abaci contains the earliest known description of the sequence outside of India, the sequence had been described by Indian mathematicians as early as the sixth century. In the Fibonacci sequence, each number is the sum of the previous two numbers. Fibonacci omitted the "0" included today and began the sequence with 1, 1, 2, ... . He carried the calculation up to the thirteenth place, the value 233, though another manuscript carries it to the next place, the value 377. Fibonacci did not speak about the golden ratio as the limit of the ratio of consecutive numbers in this sequence. In the 19th century, a statue of Fibonacci was constructed and raised in Pisa. Today it is located in the western gallery of the Camposanto, historical cemetery on the Piazza dei Miracoli. There are many mathematical concepts named after Fibonacci because of a connection to the Fibonacci numbers. Examples include the Brahmagupta–Fibonacci identity, the Fibonacci search technique, and the Pisano period. Beyond mathematics, namesakes of Fibonacci include the asteroid 6765 Fibonacci and the art rock band The Fibonaccis. Practica Geometriae (1220), a compendium of techniques in surveying, the measurement and partition of areas and volumes, and other topics in practical geometry (English translation by Barnabas Hughes, Springer, 2008). Liber quadratorum ("The Book of Squares") on Diophantine equations, dedicated to Emperor Frederick II. See in particular congruum and the Brahmagupta–Fibonacci identity. ^ Fibonacci's actual likeness is not known. ^ The etymology of Bonacci is "good nature", so the full name means "son of good nature". ^ a b "Fibonacci's Statue in Pisa". Epsilones.com. Retrieved 2010-08-02. ^ Smith, David Eugene; Karpinski, Louis Charles (1911), The Hindu-Arabic Numerals, Boston and London: Ginn and Company, p. 128 . ^ a b c MacTutor, R. "Leonardo Pisano Fibonacci". www-history.mcs.st-and.ac.uk. Retrieved 2018-12-22. ^ Eves, Howard. An Introduction to the History of Mathematics. Brooks Cole, 1990: ISBN 0-03-029558-0 (6th ed. ), p 261. ^ Devlin, Keith (2017). Finding Fibonacci: The Quest to Rediscover the Forgotten Mathematical Genius Who Changed the World. Princeton University Press. p. 24. ^ Keith Devlin, The Man of Numbers: Fibonacci's Arithmetic Revolution,A&C Black, 2012 p.13. ^ a b c Livio, Mario (2003) . The Golden Ratio: The Story of Phi, the World's Most Astonishing Number (First trade paperback ed.). New York City: Broadway Books. pp. 92_93. ISBN 0-7679-0816-3. ^ Leonardo Pisano – page 3: "Contributions to number theory". Encyclopædia Britannica Online, 2006. Retrieved 18 September 2006. ^ Thomas F. Glick; Steven Livesey; Faith Wallis (27 January 2014). Medieval Science, Technology, and Medicine: An Encyclopedia. Routledge. p. 172. ISBN 978-1-135-45932-1. ^ See the incipit of Flos: "Incipit flos Leonardi bigolli pisani..." (quoted in the MS Word document Sources in Recreational Mathematics: An Annotated Bibliography by David Singmaster, 18 March 2004 – emphasis added), in English: "Here starts 'the flower' by Leonardo the wanderer of Pisa..."
The basic meanings of "bigollo" appear to be "good-for-nothing" and "traveller" (so it could be translated by "vagrant", "vagabond" or "tramp"). A. F. Horadam contends a connotation of "bigollo" is "absent-minded" (see first footnote of "Eight hundred years young"), which is also one of the connotations of the English word "wandering". The translation "the wanderer" in the quote above tries to combine the various connotations of the word "bigollo" in a single English word. ^ Keith Devlin (7 November 2002). "A man to count on". The Guardian. Retrieved 7 June 2016. ^ Koshy, Thomas (2011), Fibonacci and Lucas Numbers with Applications, John Wiley & Sons, p. 3, ISBN 9781118031315 . ^ Tanton, James Stuart (2005), Encyclopédia of Mathematics, Infobase Publishing, p. 192, ISBN 9780816051243 . ^ a b Gordon, John Steele. "The Man Behind Modern Math". Retrieved 2015-08-28. ^ a b "Fibonacci: The Man Behind The Math". NPR.org. Retrieved 2015-08-29. ^ a b Devlin, Keith. "The Man of Numbers: Fibonacci's Arithmetic Revolution [Excerpt]". Retrieved 2015-08-29. ^ Singh, Pamanand (1985). "The so-called fibonacci numbers in ancient and medieval India". Historia Mathematica. 12: 229–244. doi:10.1016/0315-0860(85)90021-7. ^ Goonatilake, Susantha (1998). Toward a Global Science. Indiana University Press. p. 126. ISBN 978-0-253-33388-9. ^ Knuth, Donald (2006). The Art of Computer Programming: Generating All Trees – History of Combinatorial Generation; Volume 4. Addison-Wesley. p. 50. ISBN 978-0-321-33570-8. ^ Hall, Rachel W. Math for poets and drummers. Math Horizons 15 (2008) 10–11. ^ Sloane, N. J. A. (ed.). "Sequence A000045 (Fibonacci Numbers)". The On-Line Encyclopedia of Integer Sequences. OEIS Foundation. ^ Pisanus, Leonardus; Boncompagni, Baldassarre (1 January 1857). Scritti: Il Liber Abbaci. Tip. delle Scienze Fisiche e Matematiche. p. 231 – via Google Books. ^ Devlin, Keith (2010). "The Man of Numbers: In Search of Leonardo Fibonacci" (PDF). Mathematical Association of America. pp. 21–28. Devlin, Keith (2012). The Man of Numbers: Fibonacci's Arithmetic Revolution. Walker Books. ISBN 978-0802779083. Goetzmann, William N. and Rouwenhorst, K.Geert, The Origins of Value: The Financial Innovations That Created Modern Capital Markets (2005, Oxford University Press Inc, USA), ISBN 0-19-517571-9. Grimm, R. E., "The Autobiography of Leonardo Pisano", Fibonacci Quarterly, Vol. 11, No. 1, February 1973, pp. 99–104. Horadam, A. F. "Eight hundred years young," The Australian Mathematics Teacher 31 (1975) 123–134. Wikisource has the text of the 1911 Encyclopædia Britannica article Leonardo of Pisa. O'Connor, John J.; Robertson, Edmund F., "Leonardo Pisano Fibonacci", MacTutor History of Mathematics archive, University of St Andrews .